Jamie Cat Callan: It pays to be polite. French women understand the importance of good manners. (and quite lovely, even flirtatious encounters). 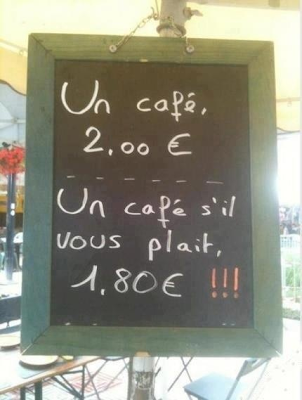 In a Paris cafe, good manners might also lead to saving a few euros!